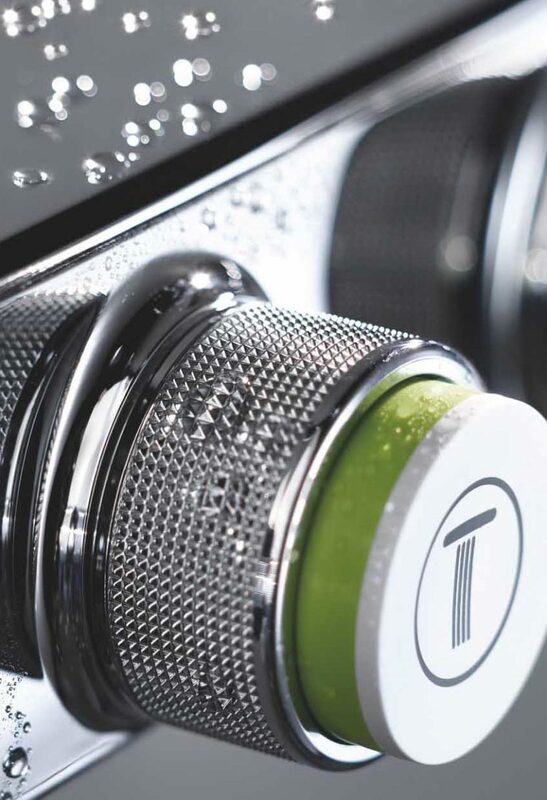 Grohe Euphoria SmartControl is a sum of German technology and quality with multi-spray shower heads. The center of the intelligent shower system is a combined Push and Turn control unit, frontally installed. The innovative commands guarantee ease of use: just push to start or stop the shower, and turn to regulate flow. The Grohe Easylogic icons ensure simple, intuitive operation. Thanks to the new ActiveRain version it is possible to choose a more stimulating spray, ideal for rinsing, or a more concentrated flow for a relaxing massage effect. The softer PureRain offers a totally relaxing shower experience. 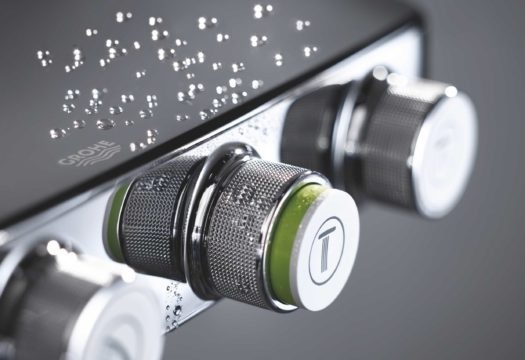 The system automatically retains the settings for the next shower.